Henry Smith was a Station Officer, shown as living in Bray in the 1901 census. And he did serve time at the Baltimore station. The young boy in the sailor suit is my maternal grandfather Sydney Smith. He went to serve in the RN during WW1 and then worked for the Admiralty as a dockyard supervisor and was in Malta for part of WW2. I've now obtained Henry Richard's service history from the national archive in London and will be posting a potted biography in about a month's time. I'm a little puzzled by this photo. Henry Richard Smith had 7 children: William George, b 1884, Walter Thomas, b 1885, Louisa Isobel, b 1886, Nesta, b 1888, d 1889, Francis Henry, b 1889, Frederick, b 1890 and Sydney Ernest, b 1896. The 1901 census gives Sydney as aged 4, correct for the birth date of 1896 so the photo date of 1898 would make Sydney two years old, a lot younger than in the picture. 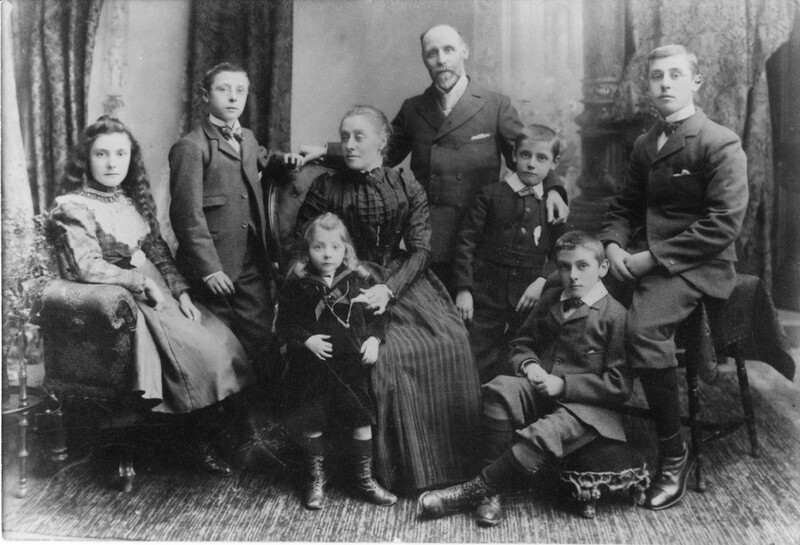 Also , of the six children shown, two appear to be girls, but there was only one surviving female child in 1898. Can anyone clarify who each of the people in the photo are, and verify the date. Just as a matter of interest, Henry's wife was Lydia Sage.